With my love of California pinot noir, I have longed to explore the famous wines of the Burgundy region of France. Found among the cellars of the most discriminate collector’s, the great, elegant richness has not been easily available to the general consumer over the past few decades because of cost and the emergence of pinot noir in California and Oregon. High quality winemakers Williams Seylem, Brian Loring and many others sight inspiration from exposure to Burgundian red wines at an early age. So, when I discovered that Peter Nelson of Monopole Wines in Pasadena was leading a Burgundy focus class, I immediately registered. The heart of Monopole is European wines and co-owners Nelson and Hiro Tamaki are a reliable source of providing vintages with a high quality to cost ratio. Their extensive backgrounds as Master Sommelier to the Advanced Level of the Wine and Spirits Education Trust are impressive and led to an enjoyable, informative evening that included tasting 10 regional wines, both red and white. The region of Burgundy lies in eastern France, southeast of Paris. Cistern monks, during the 12th Century controlled much of the land and began devoting time to winemaking. They were the first to discover the variety of terroir, often distinctive every few meters. It seems that the diverse soils are all great, the weather is consistent and east-facing slopes, necessary for Burgundian varietals, are abundant. Although half the size of Bordeaux, the Burgundy region boasts nearly 100 appellations and an excess of 1,000 named vineyards. In most French regions, the wine is recognizable by the appellation, not the grape. As a result, most people are not aware that famous Burgundy wines from Chablis, Cote d’ Or and Maconais use more than 98% of the time, only two grapes: chardonnay for whites and pinot noir for reds. The only exception is the most southerly village of Beaujolais that experiments with the gamay grape. The French closely regulate each region in their country and there are four levels of quality that identify Burgundian wines. Regional or “Bourgogne” (Bor-gon-yeh) wines, making up more than 50% of production, are generally sourced by negiotiants (brokers who purchase grapes from other growers to make their wine) from any Burgundy appellation and are made for everyday consumption. 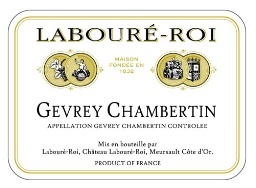 “Village” (Vee-Lawsh) wines represent 30% of production and are also sourced by negotiants, but must include only grapes from one specific village such as Gevrey-Chambertin or Muersault. From 600 higher altitude single-vineyards come wines that have special characteristics worthy of a Premier Cru designation, about 15% of total production. Another 33 single-vineyards (2%) have been recognized for great qualities that earn a Grand Cru designation. 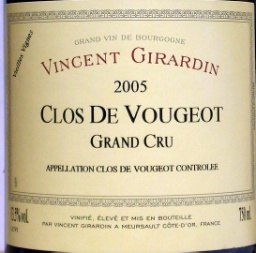 Of course, the reality of those Premier and Grand Cru wines is that they are extremely expensive. A recent Wine Spectator report on top-scoring Red Burgundies included wines like the Joseph Drouhin Musigny 2009 ($594), Jean Grivot Richebourg 2009 ($700), Denis Mortet Chambertin 2008 ($650) and several others in the $300 per bottle range. The same issue of the magazine highlighted affordable Burgundies under $100. Arguments ensue that the great California and Oregon pinot noir are as good quality and, generally a much better value. However, it’s not always a competition. Indeed, many of California’s fine pinot noir releases are successfully replicating Burgundies but the terroir is different. 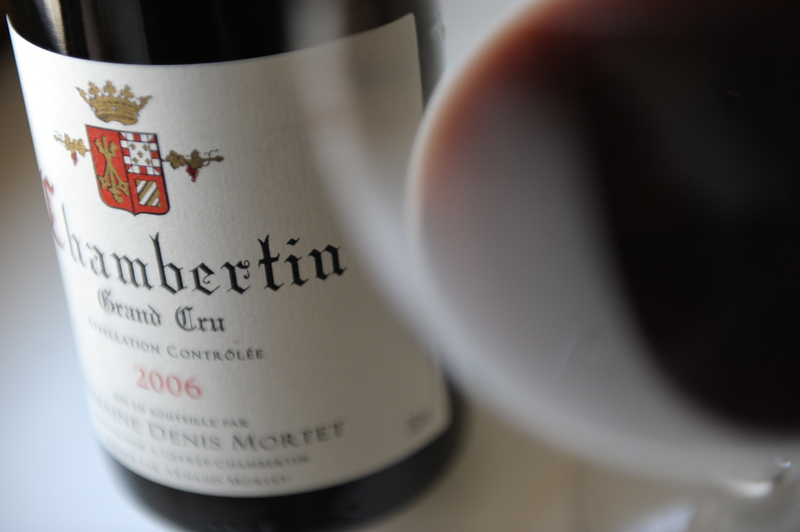 Terroir within Burgundy displays diverse soils that produce that minerality, those true citrus or butterscotch flavors in its whites and the deep berry and cherry flavors, the spice and earthiness in the reds. By opening over $700 of Burgundy wines, the Monopole class allows us to experience, first hand, the bloodlines of those produced by the Cistern monks. The first wine opened was the 2008 Patrice Rion Bourgogne Blanc ($25), a moderately priced white wine. The label tells us that the negotiant is Patrice Rion who sourced chardonnay grapes in 2008 from throughout all of Burgundy. With a slight bouquet and lacking depth, there was a nice minerality and a natural lemony flavor throughout the finish. The 2007 Jaffelin Muersault ($50) from the village of Meursault in the Cote du Beane sub-region, expressed nice stone fruit on the nose, some oak and nut influences with creamy vanilla on the finish. The last three white wines were all Grand Cru, priced among the finest California chardonnay, each conveying very distinctive flavors. The 2009 Louis Latour, Puligny-Montrachet ler Cru, “Les Truffieres” ($55)had a nice mineral, earthy quality, with hints of lemon-lime and supple melon throughout a very long finish. Some of the world’s greatest white wines are made in the Puligny-Montrachet village and many can be aged for up to 10 years, distinct from our chardonnay that is generally consumed within 12 months of release. 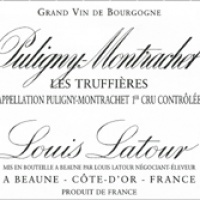 Louis Latour is a well-known negotiant that, as many others, produces single-vineyard Grand Cru as well as Bourgogne wines. The 2008 Christian Moreau, Chablis Grand Cru, “Valmur” ($50) from the most northerly sub-region also put across a nice minerality, although I preferred the Puligny-Montrachet. The final white, the 2009 Louis Latour, Corton-Charlemagne Grand Cru ($90) had it all, powerful aromas, a slate-type minerality, citrus and rich butterscotch and vanilla on the finish. This is an exceptional wine, but I was still drawn to the Puligny-Montrachet for its value. Of the value-priced reds, my preference was the 2009 Chateau de la Cree, Santanay “Clos de la Confrerie”, a Village wine with darker, earthy characteristics of tobacco and smokiness that will only get better with age. The next Premier Cru wines, the 2008 Domaine de Pousse d’Or Volnay ler Cru “Caillerets” ($85) and the 2007 Jean Grivot Vosne-Romanee ler Cru “Les Beaumonts” ($95) were both very floral on the nose and had classic cherry, raspberry flavors with nice intensity and silkiness in the mouth. The pure elegance of pinot noir was thoroughly on display in both. turn, unveiled layers of new essence to the finish, too expensive to own, but lovely to taste. Peter promised a mystery wine at the end of the session that became a 1990 Labroure’-Roi Gevrey-Chambertin, sourced from one of the most prestigious appellations in the Cote d’Or. This mature Village wine, acquired through a private source, is old enough to drink itself. There was an explicit earthiness from bouquet to finish immersed with ripened berry flavors that did not overpower. Declared ready to drink, grilled salmon with a Parmesan rub paired quite well with my newly acquired bottle. The major take away from the tasting was that Burgundy wines are, in fact, distinctive and, with some experience, I may, one day, readily distinguish them from the Sonoma, Monterey and Santa Barbara County pinot noir and chardonnay that I continue to enjoy. 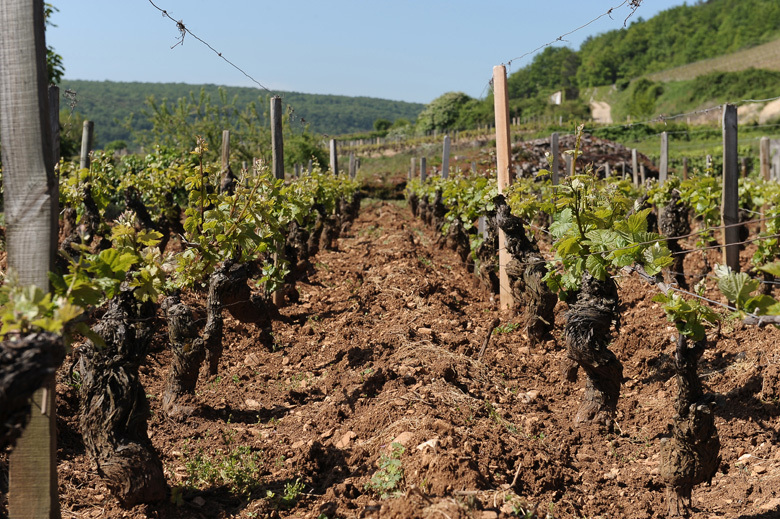 For some that may be dissuaded by descriptions of minerality, earthiness, smokey or tannic, the flavors of these Burgundies are neither subtle nor obvious, but as multi-faceted and integrated as the soil will allow them to be. This entry was posted on Tuesday, June 12th, 2012 at 4:28 am	and posted in Wine. You can follow any responses to this entry through the RSS 2.0 feed.